Is there a theory of breakdown in Marx? Even if Marx did not actually leave us a concise description of the law of breakdown in any specific passage he did specify all the elements required for such a description. It is possible to develop the law as a natural consequence of the capitalist accumulation process on the basis of the law of value, so much so that its lucidity will dispose of the need for any further proofs. Is it correct that the term ‘theory of breakdown’ stems from Bernstein, not Marx? Is it true that Marx nowhere ever spoke of a crisis that would sound the death knell of capitalism, that ‘Marx uttered not a single word that might be interpreted in this sense’, that this ‘stupid idea’ was smuggled into Marx by the revisionists? (Kautsky, 1908, p. 608) To be sure, Marx himself referred only to the breakdown and not to the theory of breakdown, just as he did not write about a theory of value or a theory of wages, but only developed the laws of value and of wages. So if we are entitled to speak of a Marxist theory of value or theory of wages, we have as much right to speak of Marx’s theory of breakdown. In the section on the law of the tendency of the rate of profit to fall in the course of accumulation where Marx shows how the accumulation of capital proceeds not in relation to the level of the rate of profit, but in relation to its mass, he says, ‘This process would soon bring about the collapse of capitalist production if it were not for counteracting tendencies which have a continuous decentralising effect alongside the centripetal one’ (1959, p. 246). So Marx observes that the centripetal forces of accumulation would bring about the breakdown of capitalist production, were it not for the simultaneous operation of counteracting tendencies. However, the operation of these counteracting tendencies does not do away with the action of the original tendency towards breakdown: the latter does not cease to exist. So Marx’s statement is only intended to explain why this tendency towards breakdown does not enforce itself ‘soon’. To deny this is to distort the clear sense of Marx’s words. However it is scarcely a matter of words which ‘might be interpreted in this sense’, and so on. Where the mere interpretation of words leads to is quite obvious from the directions in which Kautsky drags Marx’s theory. For us the question is: suppose initially we abstract from the counteracting tendencies that Marx speaks of, how and in what way can accumulation bring about the breakdown of capitalist production? This is the problem we have to solve. We have to show how, as a result of causes which stem from the economic process itself, the capitalist process of reproduction necessarily takes the form of cyclical and therefore periodically recurring movements of expansion and decline and how finally it leads to the breakdown of the capitalist system. However if the investigation is to be fruitful and to lead to exact results, we shall have to choose a method that can ensure this exactness. What should we regard as the characteristic, determining condition of the reproductive cycle? Lederer identifies this as the price movements in the course of the business cycle: in periods of expansion commodity prices, including the price of labour power, rise; in periods of crisis and depression they fall. Therefore his way of posing the question is the following: how is a general increase of prices possible in periods of expansion? Expansions in the volume of production such as characterise periods of boom are, according to Lederer, only possible due to price increases. Therefore price increases are what he has to explain first. Lederer sees the creation of additional credit as the sole impulse behind price increases. Consequently he attributes to this factor the major role in determining the shape of the business cycle. Spiethoff’s explanation is quite different: ‘An increase in capital investments forms the true hallmark and causal factor of every boom’ (1925, p. 13). Here not one word is said about price increases and we could just as well choose a whole series of other forces as our basic indicators without moving one step further in explaining the problem. For the question is not one of which appearances are characteristic or typical of the business cycle, but which are necessary to it in the sense that they condition it. That price increases generally occur during an upswing does not mean that they are necessarily connected with it. If like Lederer, we were to assume that upswings presuppose rising prices we would be totally stumped by the American booms which were sometimes characterised by falling prices. That a wrong starting-point has been chosen is obvious. Both rising prices and expanded outlays on production are in themselves matters of indifference to the capitalist entrepreneur. The capitalist process of production has a dual character. It is a labour process for the production of commodities, or products, and it is at the same time a valorisation process for obtaining surplus value or profits. Only the latter process forms the essential driving force of capitalist production, whereas the production of use values is for the entrepreneur only a means to an end, a necessary evil. The entrepreneur will only continue production and extend it further if it enables him to enlarge his profits. Expanded outlays on production, or accumulation, are only a function of valorisation, of the magnitude of profits. If profits are expanding production will be expanded, if valorisation fails production will be cut. Furthermore, both situations are compatible with constant, falling or rising prices. Of these three possible price situations the assumption of constant prices is the one most appropriate to theory, in the sense that it is the simplest case and a starting point from which the other two more complicated cases can be examined later. The assumption of constant prices thus forms a methodologically valid theoretical fiction with a purely provisional character; it is, so to speak, a coordinate system within economics, a stable reference point that makes possible exact measurement of quantitative variations in profitability in the course of production and accumulation. The basic question we have to clarify is how are profits affected by the accumulation of capital and vice versa. Do profits remain constant in the course of accumulation, do they grow or do they decline? The problem boils down to an exact determination of variations in surplus value in the course of accumulation. In answering this question we also clarify the cyclical movements or conjunctural oscillations that define the process of accumulation. These considerations underlie Marx’s analysis: ‘Since the production of exchange value — the increase of exchange value — is the immediate aim of capitalist production, it is important to know how to measure it’ (1972, p. 34). In order to establish whether an advanced capital value has grown during its circuit or by how much it has grown in the course of accumulation, we must compare the final magnitude with the initial magnitude. This comparison, which forms the basis of any rational capitalist calculation, is only possible because — in the form of costs of production and prices of the end product — value exists under capitalism as an objectively ascertainable independent magnitude. As something which is objectively ascertainable on the market, value constitutes both the basis of capitalist calculation and its form of appearance. Its explanation is thus the starting-point of any theoretical analysis. Through prices the fluctuations of a given capital value in the course of its circuit become expressed in money, which serves as measure of value required for accounting. And with respect to this measure of value Marx proceeds from the assumption, which is purely fictitious and which forms the basis of his analysis, that the value of money is constant. At first sight this appears to be all the more surprising in the sense that, in his polemic with Ricardo’s ‘invariable measure of value’, Marx emphasised that gold can only serve as a measure of value because its own value is variable. In reality the values of all commodities, including gold, are variable. But science needs invariable measures: ‘the interest in comparing the value of commodities in different historical periods is, indeed, not an economic interest as such, but an academic interest’ (Marx, 1972, p. 133). From historical surveys of the development of thermometry we know that a reliable measure of heat variations was established through the fundamental work of Amonton, with the discovery of two fundamental points (boiling-point and the absolute null point of water) for any liquid used as the measure of heat variations. This alone could establish the constant reference points with which it became possible to compare the variable states of heat (Mach, 1900, p. 8). Alternatively the value of money vanes in the same proportion as the values of other commodities, for instance due to general changes in productivity — a limiting case that is scarcely possible in reality. In that case there would have been enormous absolute changes in the real relations of production and wealth, but these actual changes would be invisible on the surface, because the relative proportions of individual commodity values would remain the same. The price index would not register the actual changes in productivity. Thus it was entirely valid for Marx to substitute the ‘power of abstraction’ for the missing constant reference points, so falling into line with Galileo’s principle: ‘measure whatever is measurable, and make the non-measurable measurable’. For instance to ascertain the impact of changes in productivity on the formation of value and surplus value, Marx is forced to introduce the assumption that the value of money is constant. This assumption is therefore a methodological postulate that equips Marx with an exact measure for ascertaining variations in the value of industrial capital during its circuit. It is an assumption underlying all three volumes of Capital. The variability of the measure of value, or of money, is only one of the causes of price changes. Such changes can just as well stem from causes that lie on the commodity side of the exchange relation. Here we should distinguish two cases. Either these variations of price are, from a social point of view, consequences of actual changes in value. (This is the case that preoccupies Marx initially, and it is these changes he wants to measure.) Or these variations of price represent deviations of prices from values, which do not in any case affect the total social mass of value because price increases in one sector of society correspond to price reductions in another. The specific task that Marx set himself of measuring as exactly as possible increases in value over and above the initial magnitude of the advanced capital, forced him to exclude price changes of the latter sort. Price fluctuations that represent deviations from value are the result of changing configurations of supply and demand. Now if one proceeds from the assumption that supply and demand coincide then prices will coincide with values. Motivated by specific methodological considerations, Marx starts off his analysis with the assumption that supply and demand coincide. He assumes a state of equilibrium with respect to supply and demand, both on the commodity market and on the labour market, in order to be able to cover the more complicated cases later. Hence whenever production is expanded it is presupposed that this occurs proportionally in all the spheres so that the equilibrium is not destroyed. The reverse case, where production expands disproportionally, is taken up later. Can accumulation proceed indefinitely without halts in the process of reproduction? To say ‘yes’ and to regard this as something self-evident without undertaking an actual analysis is to misunderstand the question completely. For instance professor Kroll argues that if commodities were exchanged at equilibrium prices, where supply equals demand, then there would be no conjunctural oscillations. He supposes that any decline in profitability is because wages are too high (Kroll, 1926, p. 214). But why were they not too high previously? What can ‘too high’ mean when we have no basis of comparison in the form of a ‘normal case’ such as represented by the reproduction scheme? If all the elements are variable, then the influence of any individual factor is impossible to assess. The causal relation that Kroll observes between the level of wages and falling profitability is not something we can presuppose; it has to be demonstrated. Therefore a scientific analysis is in principle bound to take as its starting point the case where wages are held constant in the course of accumulation, and it has to find out whether in such cases profits do not fall in the course of accumulation. If they do, then it would be a logically exact proof that falling profitability, or crises, bear no causal connection with the level of wages but are a function of the accumulation of capital. The assumption of equilibrium, or of constant prices, is nothing but the method of variation applied to the problem of the business cycle in a form that excludes from the analysis all oscillations produced by changes in the volume of credit, prices, etc; it studies only the impact of the accumulation of capital, on quantitative changes in surplus value. Once we have shown that even in a state of equilibrium, where prices and credit are ignored, crises are not only possible but inherent, then we have proved that there is no intrinsic connection between the movement of prices and credit on the one hand and crises on the other; ‘that is to say, crises are possible without credit’ (p. 514). Bourgeois economists try to explain the movement of market prices by competition or the changing relations of supply and demand. But why does competition exist? This question they do not pose. Competition becomes some mysterious quality that one simply assumes or submits to without exploring its causes. ‘Competition exists only in industry’, Sternberg tells us, ‘because the law of rising returns is fully valid for industry, or individual entrepreneurs struggle to control the market by cheapening their commodities’ (Sternberg, 1926, p. 2). But why should they struggle to control the market, why should there not be outlets for the ‘rising returns’ of industry? This is not something logically necessary or obvious, and simply to assume it is to start off by presupposing what has to be proved. With this mystical force which has been left unexplained, he then tries to explain all other phenomena. But how do we grasp the inner nature of capital? Marx’s answer is, since individual capitalists ‘confront one another only as commodity owners, and everyone seeks to sell his commodity as dearly as possible... the inner law enforces itself only through their competition, their mutual pressure upon each other, whereby the deviations are mutually cancelled’ (1959, p. 880). So in reality the inner law of capitalism enforces itself through the mutual cancellation of deviations of supply and demand, which only means that it is through this process that the mechanism preserves its equilibrium. Starting from this methodological basis is it possible to ask - what is the impact of the accumulation of capital on the process of reproduction? Can the equilibrium which is presupposed be sustained in the long run or do new moments emerge in the course of accumulation which have a disruptive effect on it? In approaching this problem I shall refrain from constructing any scheme~ of my own and demonstrate the real facts through Bauer’s reproduction scheme (see Table 2.1). In Chapter 1 we saw the neo-harmonists Hilferding, Bauer and others join the company of Tugan-Baranovsky in reproducing a version of JB Say’s old proportionality theory in order to prove that capitalism contains unlimited possibilities of development. No doubt, as an answer to Luxemburg’s theory, the reproduction scheme constructed by Bauer represents a distinct progress over all earlier. attempts of this kind. Bauer succeeded in constructing a reproduction scheme which, apart from some mistakes, matches all the formal requirements that one could impose on a schematic model of this sort. The critique that I shall make of Bauer’s scheme starts from a quite different perspective from Luxemburg’s (see Table 2.1). I shall show that Bauer’s scheme reflects and can reflect only the value side of the reproduction process. In this sense it cannot describe the real process of accumulation in terms of value and use value. Secondly Bauer’s mistake lies in his supposing that the scheme is somehow an illustration of the actual processes in capitalism, and in forgetting the simplifications that go together with it. But these shortcomings do not reduce the value of Bauer’s scheme. As long as we examine the process of reproduction initially from the value side alone. In the following sections I propose to accept Bauer’s assumptions completely. But the problem is not simply to explain crises — the periodic expansions and contractions of the business cycle under capitalism — and their causes but also to find out what are the general tendencies of development of the accumulation of capital. Initially we make the favourable assumption that accumulation proceeds on the basis of dynamic equilibrium of the kind reflected in Bauer’s scheme. On this assumption Luxemburg’s criticism that ‘the question of markets does not even exist for Bauer’ although periodic crises ‘obviously stem from disproportions between production, that is the supply of commodities, and market, that is demand for commodities’ (1972, p. 121) becomes meaningless and untenable. For Marx worked out the problem of accumulation and the whole analysis of Capital Volume One on the conscious assumption that commodities sell at value, which is only possible when supply and demand coincide. Marx studied the tendencies of accumulation in abstraction from all disturbances arising out of disproportions between supply and demand Such disturbances are phenomena of competition that help us to explain deviations from the ‘trend line’ of capitalism, but not this trend line itself. For Marx these phenomena are the ‘illusory appearances of competition’ and for that reason he abstracts from the movement of competition when investigating the general tendencies. Once these general tendencies~ have been established it is an easy task to explain the periodic deviation~ from the basic line of development, or the periodic crises. In this sense the Marxist theory of accumulation and breakdown is at the same time. theory of crises. With Bauer we shall assume a productive mechanism in which constant capital amounts to 200 000 and variable capital to 100 000. The other assumptions are that: 120 000 of this constant capital is apportioned to Department I (means of production) and 80 000 to Department II (means of consumption); that the variable capital is equally divided between both spheres; that the constant capital expands by 10 per cent a year and the variable capital by 5 per cent; that the rate of surplus value is 100 per cent and that in any given year the rate of accumulation is equal in the two departments. But can the rate of accumulation proceed so fast? Bauer does not pose this decisive question even once. He simply took the basic point at issue as something self-evident, as if the speed with which the rate of accumulation rises depended solely on the will of the capitalists. From his position it followed that capitalism would be destroyed not through any objective limits on the growth of accumulation but by the political struggle of the working class. The masses would be drawn to socialism only through painstaking, day-to-day educational work. Socialism can only be the product of their conscious will. Why was classical economy alarmed by the fall in the rate of profit despite an expanding mass of profit? If this is so, however, the question arises — why should the capitalist be so worried if the rate of profit falls as long as the absolute mass of his profit grows? To ensure this growth all he needs to do is to accumulate industriously; accumulate at a rate that exceeds the fall in the rate of profit. Moreover why was classical economy dominated by a deep sense of disquiet, of real ‘terror’ before the falling rate of profit? Why is it a veritable ‘day of judgement’ for the bourgeoisie (Marx, 1969, p. 544), why were Ricardo’s followers in ‘dread of this pernicious tendency’ (p. 541), why does Marx say that ‘his law is of great importance to capitalist production’ (1959, p. 213), why does he say that the law of the falling rate of profit ‘hangs ominously over bourgeois production’ (1969, p. 541) when, in contrast, vulgar economists ‘pointed self-consolingly to the increasing mass of profit’ (Marx 1959, p. 223)? The existing Marxist literature has no answer to any of these questions. In other words is the falling rate of profit a real threat to capitalism? Bauer’s scheme appears to show the opposite. By the end of year four both the fund for accumulation and the fund for capitalist consumption have grown absolutely. And yet, precisely with Bauer’s scheme it will be shown that there are economic limits on accumulation, that Bauer’s harmonist conclusions about the possibilities of unlimited development represent a banal delusion. Ricardo viewed the distant future of capitalism with a sense of apprehension, stating that ‘if our progress should become more slow; if we should attain the stationary state, from which I trust we are yet far distant, then will the pernicious nature of these laws become more manifest and alarming’ (p. 63). The roots of Ricardo’s theory of breakdown are discernible in the imperfect valorisation of capital that defines advanced stages of accumulation. The actual phenomenon, the tendency for the rate of profit to fall, was correctly perceived by Ricardo but he explained it in terms of a natural process rooted in the declining productivity of agriculture. Marx had only to replace this natural basis with a social one intrinsic to the specific nature of capitalism. The theory of breakdown acquired a more developed form in the work of J S Mill despite the several distortions produced by his false theories of wages (the wage fund theory) and ground rent, his erroneous views on the relation of fixed capital to the level of the rate of profit, and by his general lack of clarity about the decisively important role of profit for the existence of capitalism. Mill viewed the ‘stationary state’ as the general direction of the advance of modern society but, unlike Ricardo, he contemplated the tendency with a sense of equanimity: ‘I cannot regard the stationary state of capital and wealth with the unaffected aversion so generally manifested towards it by political economists of the old school’ (Mill, 1970, p. 113). His standpoint was one of a petty-bourgeois reformism that sought to appease capital with the idea that a stationary state of capital would in no sense jeopardise the general progress of ‘human improvements’. In his utopianism Mill seems to have forgotten that the accumulation of capital is an essential condition of capitalist production, that the capitalists have not the least interest in human improvements; they are interested only in the level of profitability. In this respect Ricardo and his school showed a more correct understanding of the vital conditions of capitalism than Mill himself. However if we ignore these obviously essential points we have to concede that Mill showed a far clearer insight into the breakdown tendency and its causes, as well as into many of its counteracting moments. Mill’s central argument is that if capital continued to accumulate at its existing rate and no circumstances intervened to raise its profits, only a short time would be needed for the latter to fall to the minimum. The expansion of capital would then soon reach its ultimate limit (pp. 94—7). A general overstocking of the market would occur. To Mill the basic difficulty was not the lack of markets but the lack of investing opportunities. Counteracting circumstances can to some extent displace or postpone this ultimate limit. Among such circumstances Mill lists: 1) worsening conditions for workers, 2) devaluation or destruction of capital, 3) improvements in technology, 4) foreign trade that procures cheaper supplies of raw materials and means of subsistence, 5) export of capital to the colonies or to foreign countries. We shall go into these circumstances in more detail later. 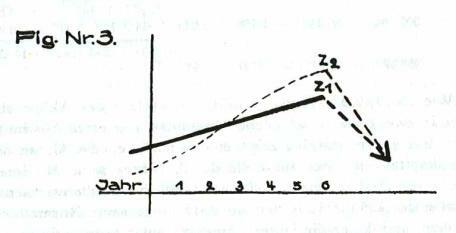 A comparison between the sections in Capital Volume Three on the tendency of the rate of profit to fall and the theory of breakdown developed by Mill shows that Marx linked up his own theory to the one proposed by Mill. Even if Marx gave it a much deeper foundation and made it consistent with his law of value, Mill’s seminal role is indisputable. In its external structure it shows the same logical construction one finds in Ricardo and in Marx. Marx also tackles the problem in two stages - first the tendency towards breakdown, then the counteracting tendencies — and refers to the fact that the process of capital accumulation ‘would soon bring about the collapse of capitalist production if it were not for counteracting tendencies, which have a continuous decentralising effect alongside the centripetal one’ (1959, p. 246). Marx mentions all the counteracting tendencies adduced by Mill, even if he adds some others and to some extent ascribes a different theoretical meaning to them. If we are going to discuss the tendencies of development of a system, in this case — along with Bauer — the tendency of accumulation to adjust to the growth of population, then it is not enough simply to look at one or two years. We have to view the development of the system over a much longer span of time. Bauer did not do this. He restricted his calculations to just four cycles of production. This is the source of his mistakes.The problem is precisely whether accumulation under the conditions postulated by Bauer is possible in the long run. If Bauer had followed through the development of his system over a sufficiently long time-span he would have found, soon enough, that his system necessarily breaks down. If we follow Bauer’s system into year 36, holding firm to all the conditions postulated by him, we see that the portion of surplus value reserved for capitalist consumption (k) which amounts to 86213 in the fifth year and grows over the following years, can only expand up to a definite high-point. After this it must necessarily decline because it is swallowed up by the portion of surplus value required for capitalisation. Despite the fall in the rate of profit accumulation proceeds at an accelerated tempo because the scope of accumulation expands not in proportion to the level of profitability, but in proportion to the weight of the already accumulated capital: ‘beyond certain limits a large capital with a small rate of profit accumulates faster than a small capital with a large rate of profit’ (Marx, 1959, pp. 250-l). We can see that after ten years the original capital expands from a value of 300 000 to 681 243, or by 227 per cent, despite a continuous fall in the rate of profit. In the second decade the rate of expansion of capital amounts to 236 per cent, although the rate of profit falls even further from 24.7 per cent to 16.4 per cent. Finally in the third decade the accumulation of capital proceeds still faster, with a decennial increase of 243 per cent, when the rate of profit is even lower. So Bauer’s scheme is a case of a declining rate of profit coupled with accelerated accumulation. The constant capital grows rapidly, it rises from 50 per cent of the total product in the first year to 82.9 per cent of the annual product by year 35. Capitalist consumption (k) reaches a peak in year 20 and from the following year on declines both relatively and absolutely. In year 34 it reaches its lowest level only to disappear completely in year 35. It follows that the system must break down. The capitalist class has nothing left for its own personal consumption because all existing means of subsistence have to be devoted to accumulation. In spite of this there is still a deficit of 11 509 on the accumulated variable capital (av) required to reproduce the system for a further year. In year 35 Department Two produces consumer goods to a total value of 540 075 whereas, on Bauer’s assumption of a 5 per cent increase in population, 551 584 of variable capital is required. Bauer’s assumptions cannot be sustained any further, the system breaks down. From year 35 on any further accumulation of capital under the conditions postulated would be quite meaningless. The capitalist would be wasting effort over the management of a productive system whose fruits are entirely absorbed by the share of workers. If this state persisted it would mean a destruction of the capitalist mechanism, its economic end. For the class of entrepreneurs, accumulation would not only be meaningless, it would be objectively impossible because the overaccumulated capital would lie idle, would not be able to function, would fail to yield any profits: ‘there would be a steep and sudden fall in the general rate of profit’ (Marx, 1959, p. 251). This fall in the rate of profit at the stage of overaccumulation is different from the fall at early stages of the accumulation of capital. A falling rate of profit is a permanent symptom of the progress of accumulation through all its stages, but at the initial stages of accumulation it goes together with an expanding mass of profits and expanded capitalist consumption. Beyond certain limits however, the failing rate of profit is accompanied by a fall in the surplus value earmarked for capitalist consumption (in our scheme this appears in year 21) and soon afterwards of the portions of surplus value destined for accumulation. ‘The fall in the rate of profit would then be accompanied by an absolute decrease in the mass of profit ... And the reduced mass of profit would have to be calculated on an increased total capital’ (Marx, 1959, p. 252). This Marxist theory of the economic cycle which sees the growing valorisation of social capital as the determining cause of accumulation — of the upswing — and its imperfect valorisation as the cause of the downturn into crisis has been fully confirmed by recent empirical studies. W C Mitchell (1927) has shown for the United States, J Lescure (1910) for France, and Stamp (1918) for Great Britain, that in periods of boom profits show an uninterrupted rise, whereas in periods of crisis the level of profitability declines. However, the agreement is at a purely factual level. Lescure supposes that reductions in profitability are due to shifts in commodity prices and prime costs. He overlooks the fact that profitability depends on the magnitude of capital, that is, on the relationship between the rate of increase of profits and that of capital. Overaccumulation is possible, and at a specific stage of accumulation inevitable, even for a given level of commodity prices and a given level of prime costs. Further expansion of production can become unprofitable even if the level of profits remains the same, indeed even if it rises. To understand these complicated relationships it is not enough simply to observe the movement of prices. A more sophisticated method is required, and here the assumption of constant prices for all elements of cost is crucial to the exactness of the investigation. Variations in costs (means of production, wages, interest) only encourage or constrain phases of boom or stagnation, they do not actually produce these phases themselves. Imperfect valorisation due to overaccumulation is, however, only one side of the accumulation process; we have to look at its second side. Imperfect valorisation due to overaccumulation means that capital grows faster than the surplus value extortable from the given population, or that the working population is too small in relation to the swollen capital. But soon overaccumulation leads to the opposite tendency. Towards the closing stages of the business cycle the mass of profits (s), and therefore also its accumulated constant (ac) and variable (av) portions, contract so sharply that the additional capital is no longer sufficient to keep accumulation going on the previous basis. It is therefore no longer sufficient to enable the process of accumulation to absorb the annual increase in population. Thus in year 35 the rate of accumulation requires a level of 510 563 ac + 26 265 av = 536 828. But the available mass of surplus value totals only 525 319. The rate of accumulation required to sustain the scheme is 104.6 per cent of the available surplus value; a logical contradiction and impossible in reality. From this point onwards valorisation no longer suffices to enable accumulation to proceed in step with the growth of population. Accumulation has become too small, which means that a reserve army is inevitably formed and grows larger year by year. Given our analysis of the reproduction process in terms of a schematic model whose presupposition is dynamic equilibrium, there can, by definition, be no surplus population or reserve army of labour. The latter emerges only at an advanced stage of accumulation and as its product The assumption which is made initially can no longer be sustained and is violated. The extension of Bauer’s scheme shows that in year 35 there are 11 509 unemployed workers who form a reserve army. In addition, because only a part of the working population now enters the process of production, only a part of the additional constant capital (510 563 ac) is required for buying means of production. The active population of 540 075 requires a total constant capital of 5499015; the result is that 117 185 represents a surplus capital with no investment possibilities. A classic illustration is the United States today (March 1928) where, together with a superfluity of capital, shortage of investment opportunities and massive speculation in real estate and shares, there is a surplus working population of 4 million unemployed workers. This not because too much surplus value has been produced but because in relation to the accumulated mass of capital too little surplus value is available. The fact that the means of production, and the productiveness of labour, increase more rapidly than the productive population, expresses itself, therefore, capitalistically in the inverse form that the labouring population always increases more rapidly than the conditions under which capital can employ this increase for its own self-expansion (Marx, 1954, p. 604). We must be careful to distinguish the formation of the reserve army due to a crisis of valorisation from the ‘setting free’ of workers through machinery. The displacement of workers by machinery, which Marx describes in the empirical part of Capital Volume One (Chapter 15, ‘Machinery and Modem Industry’), is a technical fact produced by the growth of M relative to L and as such is not a specifically capitalist phenomenon. All technological advance rests on the fact that labour becomes more productive, that it is economised — or set free — in relation to a given product. That machinery sets free labour is an incontrovertible fact that needs no proof; it belongs to the very concept of machinery as a labour saving means of production. This process of the setting free of workers will occur in any mode of production, including the planned economy of socialism. From this it follows that Marx could not possibly have deduced the breakdown of capitalism from this technical fact. In Chapter 25 of Capital Volume One, where Marx derives the general law of capitalist accumulation, the setting free of the worker through the introduction of machinery is not mentioned. Here what Marx emphasises are not the changes in the technical composition of capital (ML) but changes in the organic composition of capital (c:v): ‘The most important factor in this inquiry is the composition of capital and the changes it undergoes in the course of the process of accumulation’ (Marx, 1954, p. 574). Marx adds that: ‘Wherever I refer to the composition of capital, without further qualification, its organic composition is always understood’ (p. 574). The technical composition forms only one aspect of the organic composition; the latter is something more. It is the value composition of capital as it is determined by, and reflects, changes in the technical composition. Consequently Marx converts the technical side of the labour process, the relation M:L, into a value relation, c.v. Under capitalism, the means of production M and L figure as components of capital, as values, and they have to be valorised, that is, yield a profit. The valorisation process, and not the technical process of production, is the characteristic driving force of capitalism. Wherever valorisation falters the production process is interrupted, even if from the standpoint of the satisfaction of needs production as a technical process may be desirable and necessary. The existing literature has totally ignored the fact that the process of setting free labour that Marx describes in the chapter on accumulation, and which is reflected in the formation of the reserve army, is not rooted in the technical fact of the introduction of machinery, but in the imperfect valorisation of capital specific to advanced stages of accumulation. It is a cause that flows strictly from the specifically capitalist form of production. Workers are made redundant not because they are displaced by machinery, but because, at a specific level of the accumulation of capital, profits become too small and consequently it does not pay to purchase new machinery and soon. Profits are insufficient to cover these purchases anyway. The portion of surplus value destined for accumulation as additional constant capital (ac) increases so rapidly that it devours a progressively larger share of surplus value. It devours the portion reserved for capitalist consumption (k), swallows up a large part of the portion reserved for additional variable capital (av) and is still not sufficient to continue the expansion of constant capital at the postulated rate of 10 per cent a year. In year 1 the accumulated constant capital (ac) amounts to 20 per cent of the disposable surplus value of 100 000. By year 35 it climbs to 510 563, or to over 97 per cent of the disposable surplus value. Full employment requires a residue of surplus value amounting to 26 265. But only 14 756 survives as a residue to cover wages. For the capitalists’ consumption nothing remains. The disposable mass of surplus value does not suffice to secure the valorisation of the swollen capital. Because 11 509 workers remain unemployed in the following year, the expanded capital now operates on a reduced valorisation base. Each of these three fractions is equally essential to the further expansion of production on a capitalist basis. If the available surplus value could cover only the first two, accumulation would be impossible. For the question necessarily arises — why do capitalists accumulate? To provide additional employment to workers? From the point of view of capitalists that would make no sense once they themselves get nothing out of employing more workers. From the point of view of the distribution of income, such a mode of production would end up losing its private capitalist character. Once the k portion of surplus value vanishes, surplus value in the specific sense of an income obtained without labour would have disappeared. The other two fractions of surplus value, the additional constant capital (ac) and the additional variable capital (av), retain their character of surplus value only so long as they are means for the production of the consumption fund of the capitalist class. Once this portion disappears, not an atom of unpaid labour falls to the share of the capitalists. For the entire variable capital falls to the share of the working class, once the means of production have been replaced out of it. Surplus value in the sense of unpaid labour, of surplus labour over and above the time required to produce essential means of subsistence, would have vanished. All means of consumption would now form necessary means of consumption. So it follows that the k portion is an essential characteristic condition of the accumulation of capital. Obviously Marx had anticipated the whole of Luxemburg’s theory. We should not suppose, however, that the capitalist simply waits passively until the entire k portion has been swallowed up. Long before any such time (at latest from in the scheme when the k portion begins to decline absolutely) he will do his utmost to halt the tendency. In order to do this he must either cut the wages of the working class or cease to observe the conditions postulated for accumulation, that is, the condition that constant capital must expand by 10 per cent annually to absorb the annual increase in the working population at the given technological level. This would mean that from now on accumulation would proceed at a slower rate, say 9.5 or 8 per cent. The tempo of accumulation would have to be slowed down, and that, too, permanently and to an increasing degree. In that case accumulation would fail to keep step with the growth of the population. Fewer machines and so on would be required or installed, and this only means that the productive forces would be constrained from developing. It also follows that from this point in time on a growing reserve army would necessarily form. The slowing down of accumulation and the formation of the industrial reserve army must necessarily follow even if wages are assumed to be constant throughout this period. At any rate, it would not be the result of an increase in wages, as Bauer supposes. Analysing each of the phases of capital in its circuit as money capital, productive capital and commodity capital, Marx asks: what impact do they have on the process of production, can this process advance smoothly, or does the normal course of reproduction encounter disruptions in its various phases? If so what sort of obstacles, and what are the factors that hinder the reproduction process in a given phase? One consequence of this method of investigation is that Marx is compelled to return to the problem of crises at various places in his work, in order to assess the specific impact of each of the individual factors that come into play in the different phases of the circuit. A systematic description of the role of all these factors will have to be reserved for my major study. Given the specific object of this investigation I shall examine the impact of one factor alone, even if it is the decisively important one - the accumulation of capital from the standpoint of crises. I shall be looking at the effects of the fact that a given capital which began its first circuit as M (money capital), opens up its second circuit as M’ (expanded money capital). I have shown that as long as no counteracting or modifying tendencies intervene, the effects are such that from certain exactly determinable level of capital accumulation they have to lead to a breakdown of the system. In the coordinate system OX and OY (Figure 1), if the line OX represents a condition of ‘normal valorisation’ and OZ the line of accumulation in accordance with this equilibrium condition, then the crisis of valorisation can be expressed as a deviation of the line of accumulation in the direction ZS. This would be the tendency towards breakdown, the basic tendency of the system or its ‘trend’. Let us suppose that in our coordinate system the breakdown sets in at point z1(Figure 2) and manifests itself in the form of an enormous devaluation of capital whose overaccumulation starts at r1(this is represented graphically by the punctuated line z1 — o1). In that case the overaccumulated capital will be reduced back to the magnitude required for its normal valorisation, and the system will be brought back to a new state of equilibrium at the higher level o1 — z1. We know that in Marx’s conception crises are simply a healing process of the system, a form in which equilibrium is again re-established, even if forcibly and with huge losses. From the standpoint of capital every crisis is a ‘crisis of purification’. Soon the accumulation process picks up again, on an expanded basis, and within certain limits (for instance, o1—r2) it can proceed without any disruption of equilibrium. But ‘beyond certain limits’, from point r2on, the accumulated capital again grows too large. The mass of surplus value starts to decline, valorisation begins to slacken until finally, at point z2, it evaporates completely in the way described earlier. The breakdown sets in again and is followed by devaluation of capital, z2—o2, and so on. If we can show that due to various counteracting tendencies the unfettered operation of the breakdown tendency is repeatedly constrained and interrupted (at points z1, z2, z3 ... ) then the breakdown tendency will not work itself out completely and is, therefore, no longer describable in terms of an uninterrupted straight line ZS. Instead it will break up into a series of fragmented lines (O —z1—o1, o1—z2—o2, o2—z3—o3...) all tending to the same final point. In this way the breakdown tendency, as the fundamental tendency of capitalism, splits up into a series of apparently independent cycles which are only the form of its constant, periodic reassertion. Marx’s theory of breakdown is thus the necessary basis and presupposition of his theory of crisis, because according to Marx crises are only the form in which the breakdown tendency is temporarily interrupted and restrained from realising itself completely. In this sense every crisis is a passing deviation from the trend of capitalism. Despite the periodic interruptions that repeatedly defuse the tendency towards breakdown, the mechanism as a whole tends relentlessly towards its final end with the general process of accumulation. As the accumulation of capital grows absolutely, the valorisation of this expanded capital becomes progressively more difficult. Once these countertendencies are themselves defused or simply cease to operate, the breakdown tendency gains the upper hand and asserts, itself in the absolute form as the final crisis. The passing of booms and the turn to depression is frequently explained in terms of a series of factors that push costs of production up, reduce profitability and dampen business activity. This is the view of G Cassel who gets stuck at the surface level and cannot grasp the deeper connections, the essence underlying the appearances. It is obvious that increases in costs of production do threaten profitability and can intensify the crisis. But this factor only accelerates the formation of a crisis, it does not produce the crisis itself. The methodological significance of the analysis proposed here is that it forestalls any such attempt to displace the problem or to drive it into secondary issues. Interest and its fluctuations are excluded from the analysis; we are concerned with a total surplus value that has not yet split into its several portions. Rising prices are likewise excluded; by assumption commodities sell at value. The same is true of the commodity labour power; by assumption workers receive only the value of their labour power in the course of accumulation. And in spite of all this the process of capital accumulation grinds to a halt. The crisis ensues. Its formation is thus independent of the various price movements. The real problem, the essence of the appearances, emerges in its pure form only through abstraction from all these subsidiary moments. The accumulation of capital is too large — there is absolute overaccumulation —because valorisation is insufficient. Is such a description only correct from a purely abstract logical point of view; is it reconcilable with the facts of experience? Does the accumulation process really come to an end due to overaccumulation of capital? Cassel assures us that even in the final stages of the business cycle there is never a superfluity of fixed capital (1923, p. 579). There is no overaccumulation of capital but rather a capital shortage, an insufficient supply of capital. So does our theory of accumulation contradict the facts of experience? Cassel argues that the origin of crises lies in a ‘wrong calculation’ by businessmen of the future state of the capital market or of the supply of savings that will be forthcoming to match their investment schedules. Apart from the purely psychological character of this theory, it simply obscures matters. The supply of capital is too small. But what capital is Cassel talking about? Obviously not about the already accumulated and functioning capital. Since he refers to a future supply of savings, he can only be meaning the additional capital that has still to be accumulated and which is symbolised in the scheme by the magnitudes ac and av. What is the source of the supply of this capital? Why is there a shortage of this capital? Instead of pursuing the formation of this capital to its birthplace — the sphere of production — Cassel gets bogged down in the sphere of circulation. Before it is saved it has to be produced. It is produced by the workers and appropriated by the capitalist as surplus value. This future capital forms only a portion of the surplus value, the portion that is not consumed but destined for accumulation. To say that this additional capital is increasingly in short supply as accumulation progresses only means that in the course of accumulation the primordial source of this capital, surplus value, becomes progressively more scarce, too small, in relation to the already accumulated mass of capital. If the mass of surplus value is too small then so is the portion destined for purposes of accumulation. Cassel simply mixes up concepts. He speaks of a capital shortage, an insufficient supply of capital. In the language of the banker everything is capital. But Cassel is not talking about capital, but about a part of surplus value that still has to be accumulated, a part that represents capital only potentially and becomes capital only through its function in the valorisation process. So really there is not a shortage of capital, but a shortage of surplus value. In contrast, there is an overaccumulation of the already functioning capital. Overproduction of capital and imperfect valorisation are correlative concepts each of which determines the other. A capital that fails to fulfil its function of valorisation ceases to be capital; hence its devaluation. The devaluation of capital is here a necessary, logical consequence of its insufficient valorisation. it is otherwise with Cassel. He too refers to a ‘sudden devaluation of fixed capital’ due to capital shortage. He speaks of devaluation because in reality such a phenomenon exists, and theory must take some stand in relation to it. But Cassel cannot account for the fact of devaluation in terms of his theory. It bears no logically necessary connection with it. From Cassel’s theory of crises it is in fact impossible to derive an explanation of the devaluation of capital. Given his subjective theory of prices how can capital be ‘devalued’ if it is in short supply? On the other hand, in Marx’s theory imperfect valorisation and devaluation of the original capital stand in a close logical connection. A definitive answer to the question raised by Diehl is also possible only now. He asked if there was any necessary relationship between Marx’s theory of value and surplus value and socialism. He argued no, despite conceding that profit, ground-rent, etc. are rooted in the surplus value extorted from workers. But no socialist conclusions necessarily follow as long as we suppose that surplus value is indispensable to technical and economic progress. What a fantastic misunderstanding. Surely it is not a question of moral assessment of surplus value but of the variations in its magnitude that decide what civilising role it plays. As the possibility of valorisation disappears surplus value ceases to play any such role; it ceases to develop the productive forces of society and capitalism must necessarily make way for a higher form of production. Marx showed that given its dynamic basis in the law of value, capital accumulation runs up against definite limits, that is, it bears a transitory character because in the long run the surplus value does not suffice for the valorisation of c and v.
Oppenheimer is one of the sharpest and best known recent critics of Marx’s law of accumulation. He says: ‘Honestly speaking it can no longer be disputed that ... Marx’s law of capitalist accumulation and his deduction of the reserve army are logically erroneous and that therefore his definition of the tendency of capitalist development is false’ (1923, p. 1098). But Oppenheimer’s mistakes are strikingly obvious when we compare what he means by the Marxist theory of accumulation with the one presented here. The elegant deductions characteristic of a sharp thinker fail completely here. He vacillates in his characterisation of the theory of accumulation. Sometimes he sees it purely as a product of Hegel’s dialectic of contradiction: ‘The solution Marx proposed flowed from his application of the “dialectical method” (Oppenheimer, 1919, p. 115). According to him the theory of breakdown, which he agrees is the ‘pillar of Marx’s whole economics and sociology’ (p. 137), flows not from an analysis of capitalism but from an application of Hegel’s dialectical method. But elsewhere Oppenheimer states that the problem Marx was concerned with was not resolvable purely by deduction. Marx’s theory of the inevitable growth of a reserve army was, according to Oppenheimer, based on a purely empirical ‘impression’ that he gained from a study of British capitalism (Oppenheimer, 1903, p. 56). Yet the Marxist theory of accumulation was established by way of a deduction which he calls ‘an imposing deduction’ (1919, p. 144), a ‘gigantic effort’ (p. 146), a ‘solution attempted in the grand style’ (p. 135). All of this only shows that Oppenheimer has overlooked the real content of Marx’s theory. The imperfect valorisation of the accumulated capital, in Marx the decisive phenomenon that destroys the capitalist mechanism from the inside, is not mentioned by Oppenheimer even once. Instead Oppenheimer brings in two elements that have nothing to do with Marx’s theory of accumulation. The first is ‘that machinery sets free workers’ (1919, p. 137). 1 have already drawn out the difference between the displacement of workers by machinery and their being set free in the very process of accumulation. Oppenheimer confuses these phenomena. Machinery displaces the worker. Hence Marx supposedly argues that the productive process creates ‘a chronic relative overpopulation’, which leads to a permanent oversupply of labour power that pins wages down to the minimum. The process of setting free that Marx discusses in the chapter on accumulation is something quite different from displacement by machinery. Its cause is the accumulation of capital; that is, insufficient valorisation at a definite, advanced stage of accumulation. Down to this point the number of workers grows absolutely: ‘With the growth of the total capital, its variable constituent or the labour incorporated in it, also does increase’ (Marx, 1954, p. 590). But with accumulation it increases ‘in a constantly diminishing proportion’ (p. 590) until at a specific level of accumulation its growth ceases completely and turns into ‘a relatively redundant working population, i.e., a population of a greater extent than suffices for the average needs of the self expansion of capital, and therefore of surplus population’ (p. 590). Oppenheimer misses the point completely because he ignores the basic difference between the technical labour process and the capitalist valorisation process. Machinery in relation to labour power (M:L) and constant capital in relation to variable (c:v) represent two absolutely different categories and to confuse them is to end up in serious mistakes. It was from the ‘social form’ and not from the technical application of the real means of production that Marx deduced the necessary end of the accumulation process. Oppenheimer’s interpretation of the theory of the reserve army in the sense of a chronic overpopulation is quite false. What prevails instead is the law of the alternative attraction and repulsion of workers, so that the absolute number of workers who find employment and are later thrown off can, and does, increase: ‘in all spheres, the increase of the variable part of capital, and therefore of the number of labourers employed by it, is always connected with violent fluctuations and transitory production of a surplus population’ (Marx, 1954, pp. 590—1). So it is not a question of chronic overpopulation, as Oppenheimer supposes, but of the periodic reforming and reabsorption of the reserve army within the production cycle: ‘The course characteristic of modern industry, namely, a decennial cycle depends on the constant formation, the greater or less absorption, and the re-formation of the industrial reserve army or surplus population’ (Marx, 1954, pp. 592—3). It follows that the absolute number of workers can grow and indeed must grow if accumulation or expanded reproduction is to occur. The second so-called premise of Marx’s deduction is the classical wages fund theory (Oppenheimer, 1919, p. 138). According to Oppenheimer, Marx ‘took over this theory in its decisive aspects’ (p. 141). ‘The classical theory derived all prices from supply—demand relations, and resolved the problem of wages, i.e., of the price of labour on the same basis’ (p. 138). So Marx is supposed to have resolved the problem of wages in terms of supply and demand. I have shown the complete untenability of this view elsewhere (Grossman, 1926, p. 180). Marx’s theory of wages is only a special case of the theory of value applied to the commodity labour power. Just as in value theory the determination of the magnitude of value proceeds quite independently of competition, or supply and demand, the same is true for Marx’s theory of wages. In Marx the wage is determined by the reproduction costs or value of labour power which is independent of competition. Because Oppenheimer fails to understand this determination of wages in terms of value, the factor which, according to Marx, exerts an upward pressure on real wages in the course of capitalist development — namely, the growing intensity of labour - likewise escapes him. This is why he can arrive at the patently false conclusion that in the Marxist system wages ‘can never rise above their lowest point’ (1919, p. 149). Since Oppenheimer’s description of Marx’s theory of wages as a wage fund theory is absolutely false, the criticisms he develops of Marx’s theory of accumulation from this particular aspect also crumble. To demonstrate the inevitable formation of a reserve army Marx hardly needed to refer to supply and demand relations. In his system the reserve army of labour is a result of the process of reproduction at a late stage of accumulation not, as Oppenheimer supposes, a permanent precondition for the reproduction of the capital relationship. Given the nature of Marx’s simplifying assumptions, the reserve army can be deduced as a necessary consequence of ‘accumulation or of the development of wealth on a capitalist basis’ (1954, p. 592). Once it has come into being this surplus population ‘becomes, conversely, the lever of capitalist accumulation, nay, a condition of existence of the capitalist mode of production’ (p. 592). The existence of the reserve army is a vital condition for empirically given capitalism, but not by way of reproducing the capital relationship so much as to make possible sudden expansions of production, because: ‘In all such cases, there must be the possibility of throwing great masses of men suddenly on the decisive points without injury to the scale of production in other spheres. Overpopulation supplies these masses’ (p. 592). Initially, however, Marx takes as the object of his analysis not this empirically real capitalism with its sudden expansions, but the ideal trajectory of capitalist production, and so he is perfectly justified in excluding the reserve army from his analysis in the initial stages. Now we come to Oppenheimer’s description of Marx’s ‘proof procedure’. What is the basic meaning of Chapter 25 of Capital Volume One on ‘the general law of capitalist accumulation’? Oppenheimer takes it to mean that the existence of a reserve army is a crucial precondition of the reproduction of the capitalist relationship. This is completely wrong. The existence of capital itself — of the separation of the worker from the means of production — is quite sufficient for the reproduction of the capitalist relationship. A reserve army is not crucial in this respect. Oppenheimer is preoccupied with the problem of the setting free of workers through machinery and misses the basic point in Chapter 25. His myopic concentration on machinery precludes him from ever tackling the problem of insufficient valorisation due to accumulation. He deals with the latter only in passing, and even then entirely from the standpoint of the subjective experience of the individual capitalist. Again Oppenheimer overlooks the fact that Marx does not directly analyse empirical reality; in the chapter on accumulation the object of his analysis is surplus value and its variations of magnitude, whereas reality only confronts us with the individual parts into which surplus value splits up (interest, profit, rent, commercial profit, etc). Surplus value is only a theoretical form of totalising these individual parts that confront us in reality. Marx’s proof procedure has the character of a deduction. With respect to deductions of this nature Oppenheimer makes an excellent comment ‘Any appeal to experience is quite inadmissible. A deduction is not validated because its results conform to experience’ (1919, p. 150). But in his critique of Marx’s deduction Oppenheimer appeals precisely to experience. Marx has to deduce a specific phenomenon, the imperfect valorisation of the total social capital, from the very conditions of accumulation. Against Marx’s demonstration that in the course of accumulation the shortage of surplus value brings accumulation to a standstill, Oppenheimer replies that ‘experience teaches us that as interest declines accumulation proceeds all the more vehemently’ (p. 149). Oppenheimer equates the shortage of surplus value, or imperfect valorisation, with a declining rate of interest. The rate of interest may decline to any level, but not surplus value. Interest is only an individualised portion of profit. Thus if interest falls, the entrepreneur’s profit rises. Suppose interest were to fall due to an oversupply of loan capital. What would be the result? Loan capital would flow into production, and the money capitalist would be transformed into an industrial capitalist. All that would result is a redistribution of capital. The matter is quite different when we look at the total surplus value, and total social capital. Once surplus value declines below certain exactly calculable limits capital accumulation necessarily breaks down, due to the defective valorisation of capital. The result would be an extraordinary devaluation of capital. Oppenheimer presents matters as if accumulation and its scale depend solely on the good will and psychology of the saver. He ignores the objective conditions — the magnitude of the disposable surplus value — which determine the limits of the scale of accumulation. Oppenheimer knows no such limits to the accumulation of capital. He supposes that workers displaced by machinery can be reabsorbed as long as accumulation is sufficiently rapid. Oppenheimer overlooks the essential question — that for a given size of population and rate of surplus value is the requisite scale and tempo of accumulation possible in the long run? I would say ‘no’ and I have tried to demonstrate this exactly as is possible within the limits of deduction. Oppenheimer cites three possible forms through which the accumulation of capital can compensate for the retrenchments. i) Partial compensation where there is more retrenchment in certain industries than redeployment in others. ii) Full compensation where retrenchment and redeployment are equal. iii) Overcompensation where redeployment is greater. He adds that there was hardly any statistical data available to Marx to decide the question. As neither deduction nor empirical proof was possible he was left with an impression that the reserve army tends to increase. So according to Oppenheimer the fundamental law of the Marxist system was an illicit generalisation of vague empirical impressions. The entire argument is untenable. Marx’s theory of breakdown was neither a generalisation from purely empirical observations nor an elaboration of Hegel’s dialectic of contradiction. It was derived through deduction as a self-evident consequence of the accumulation of capital on the basis of the law of value. Oppenheimer’s statement that the problem is not soluble by deduction is contradicted by the fact that I have used a concrete numerical example to provide an actual solution and, as we shall see, this is also possible mathematically. As far as empirical relationships are concerned there may very well be a difficulty of an equation with several unknowns. But no such difficulty exists for theory. Through the simple procedure of making certain assumptions theory can transform all unknown variables into known quantities which are also measurable. The scheme developed earlier proceeds from a state of equilibrium where despite a rising organic composition of capital, the retrenchment of workers is cancelled by their redeployment. And yet this state is only possible for a certain period of time. At a certain point accumulation becomes impossible on the basis assumed because it runs up against limits to valorisation; Oppenheimer’s second case is transformed into his first case. At this late stage of accumulation the retrenchment of workers dominates over their redeployment not due to the action of machinery, but due to imperfect valorisation. The available surplus value does not suffice to keep accumulation going on the necessary scale. Oppenheimer abstains from presenting any deductive counterproof against Marx and relies purely on empirical facts. But Oppenheimer himself knows that we cannot arrive at a theory through simple experience. Marx could quite easily agree that from time to time overcompensation has occurred in industry. But this would not in the least affect the Marxist law of accumulation and breakdown. Indeed additional labour power is a necessary constitutive part of the very concept of accumulation. The entire system is constructed on the notion of surplus value, on the greatest possible intensive and extensive exploitation of labour power. By its very nature capital strives to employ the largest number of workers. Marx himself notes that, on the whole, the number of workers employed in industry grows not only absolutely but as a ratio of the total population. As the population base expands the upper limits of capital accumulation are pushed back. This is one form in which the breakdown tendency is defused and postponed to the future (See Chapter 3, section 13). Nevertheless it follows from the law of accumulation that for a given size of working population capital accumulation encounters insuperable limits, beyond which any further accumulation is pointless. Naturally the internal consequences of accumulation are always interrupted and neutralised by modifying circumstances. Hence the periodic, cyclical alteration of phases of expansion and breakdown. However if we abstract from the alternating attraction and repulsion of workers in the course of the industrial cycle, and follow through only the secular tendency of development, we shall have to conclude that in the initial stage of capital accumulation population was, on the whole, too large in relation to the existing scale of accumulation. Hence Malthus and Malthusianism. In the late stage of accumulation the inverse relationship dominates. In relation to the enormous accumulation of capital, population — the base for valorisation — becomes increasingly smaller. Hence the sharpening tensions in the advanced capitalist countries in the course of accumulation, the increasing role of capital exports, the ever more brutal expansionist tendencies of capital to secure the largest possible reserves of human labour power. But here capitalism runs into obstacles. The world is already divided up. The economic displacement of large masses of people encounters difficulties. And so the very tendencies that defuse the breakdown are themselves defused, and the breakdown intensifies. K Muhs’s critique of Marx (1927) shows not the slightest trace of originality. He simply draws together the arguments developed by others. Like them he ignores the decisively important passages of Capital Volume Three on the falling rate of profit. With Oppenheimer he agrees that Marx’s theory of accumulation has an empirical basis. This is then criticised empirically. The superficiality of this method is perfectly obvious. Totally incapable of mobilising a single theoretical argument to launch a frontal attack on the law of accumulation, Muhs tries to finish off the theory through an empirico-statistical detour. The expansion of population in industrialised countries is supposed to refute the theory that workers are set free in the course of accumulation. But theory? There is not the least trace of any theory in Muhs. On the other hand the process of breakdown described above should not be confused either with the limits to accumulation that Bauer talks about. So as not to be taken for an apologist of capital, Bauer claims that he has discovered a limit to the accumulation of capital. This limit is set by: (i) the proportionality between the two departments of the reproduction scheme and (ii) the rate of growth of population at a given level of productivity. Variable capital has to be accumulated in a specific proportion to increases in population. This prescribes the limits to the growth of constant capital since there is likewise a specific proportionality between constant and variable capital. The proportionality c:v is the limit Bauer discusses. If the constant capital expands at a faster rate than that required in terms of its proportional relation to variable capital the result will be overaccumulation of capital. A slower rate means underaccumulation. Crises arise only because the necessary proportionality between accumulation and population is not maintained. As long as accumulation proceeds within these limits, it can advance indefinitely under the assumptions made. Bauer speaks of ‘overaccumulation’. But this occurs only because the conditions specified by him are violated. In fact he argues that these conditions can be maintained even in the long run and the very mechanism of capital ensures that all disturbances of equilibrium are automatically corrected: ‘Like underaccumulation, overaccumulation is only a passing phase of the industrial cycle’ (Bauer, 1913, p. 870). In my description the process is totally different. I have shown that even if all conditions of proportionality are maintained and accumulation occurs within the limits imposed by population, the further preservation of these limits is objectively impossible. The system of production described in Bauer’s own scheme has to breakdown or the conditions specified for the system have to be violated. Beyond a definite point of time the system cannot survive at the postulated rate of surplus value of 100 per cent. There is a growing shortage of surplus value and, under the given conditions, a continuous overaccumulation. the only alternative is to violate the conditions postulated. Wages have to be cut in order to push the rate of surplus value even higher. This cut in wages would not be a purely temporary phenomenon that vanishes once equilibrium is re-established; it will have to be continuous. After year 36 either wages have to be cut continually and periodically or a reserve army must come into being. This would not be one of those periodic crises within the system that Bauer refers to, for a crisis of this sort could always be surmounted by adjusting the scale of the productive apparatus to the available population. Here there is no more room for adjustments. The proportionality conditions required by Bauer have been preserved throughout and still after year 35 a crisis, a tendency towards breakdown, sets in. The real dynamic of the capitalist system is quite different from what Bauer supposes. He maintains that capitalism is characterised by a ‘tendency for the accumulation of capital to adjust to the growth of population’ (p. 871). I have shown the opposite — there is a tendency towards an absolute overaccumulation of capital that outstrips the limits imposed by population. If social production were organised according to a plan, if those in charge of it had a perfect knowledge of demand and the power to shift labour and capital freely from one branch of production to another, the supply of commodities would never exceed the demand (Tugan-Baranovsky, 1901, p. 33). Bauer’s scheme represents precisely this kind of planned, organised production in which the managers know all they need to about demand and have the power to adapt production to demand. In spite of this a tendency towards breakdown emerges, valorisation declines absolutely and a reserve army forms. This only shows that the problem is not whether there is a surplus of commodities or not. In fact we have assumed a state of equilibrium where, by definition, there can be no unsaleable residue of commodities. Yet still the system must break down. The real problem lies in the valorisation of capital; there is not enough surplus value to continue accumulation at the postulated rate. Hence the catastrophe. Obviously, as Lenin correctly remarks, there are no absolutely hopeless situations. In the description I have proposed the breakdown does not necessarily have to work itself out directly. Its absolute realisation may be interrupted by counteracting tendencies. In that case the absolute breakdown would be converted into a temporary crisis, after which the accumulation process picks up again on a new basis. In other words the valorisation of the overaccumulated capital can be met through capital exports to countries at a lower stage of accumulation. Or a sharp devaluation of the constant capital during the crisis might improve the prospects for valorisation. Or wage cuts could have the same effect in terms of warding off the catastrophe. But quite apart from the fact that all these situations violate the assumptions postulated in Bauer’s scheme, these solutions would have a purely temporary impact. Restored accumulation will again generate the very same phenomena of overaccumulation and imperfect valorisation. In year 1 of Bauer’s reproduction scheme the amount due for capitalisation constitutes 25 per cent of a surplus value of 100 000 (20 000 ac + 5 000 av, = 25 000). In year 2 the capitalised component increases to 25.95 per cent of an expanded surplus value of 105 000(22 000 ac + 5 250 aj, = 27 250). [The actual ratio should be 25.95 per cent — J Banaji]. Under these conditions the reservoir of surplus value is progressively exhausted and the accumulated capital can only be valorised at an increasingly unfavourable rate. After some time the reservoir dries up completely — the quotas due for capitalisation turn out to be far in excess of the available mass of surplus value even though notionally they are only fractions of this surplus value. This is the contradiction; at the hypothesised rate of accumulation the mass of surplus value is no longer sufficient. The breakdown of the system is the inevitable consequence. Apart from the arithmetical and logical proofs that we have been given already, mathematicians may prefer the following more general form of presentation which avoids the purely arbitrary values of a concrete numerical example. c = constant capital. Initial value = c0.Value after j years = cj. This is a real number as long as s> av,. But this is what we assume anyway throughout our investigation. Starting from time-point n, the mass of surplus value S is not sufficient to ensure the valorisation of c and v under the conditions postulated. i) The level of the organic composition Ω. The higher this is the smaller the number of years. The crisis is accelerated. ii) The rate of accumulation of the constant capital ac, which works in the same direction as the level of the organic composition of capital. iii) The rate of accumulation of the variable capital av, which can work in either direction, sharpening the crisis or defusing it, and whose impact is therefore ambivalent. iv) The level of the rate of surplus value s which has a defusing impact, that is, the greater is s, the greater is the number of years n, so that the breakdown tendency is postponed. iv) finally, capital is exported, so that again the rate of accumulation ac, is reduced. These four major cases allow us to deduce all the variations that are actually to be found in reality and which impart to the capitalist mode of production a certain elasticity. In reality we find that once the given level of valorisation collapses and the accumulation process stagnates, sooner or later counteracting tendencies come into play. The capitalist attempts to restore the valorisation of his capital. In the crisis capital is devalued and this is followed by a reorganisation and concentration process in which the rate of profit is increased through higher productivity and rationalisation; the same effect is achieved through direct wage cuts. We shall get to know these counteracting tendencies a bit more in Chapter 3. Through the impact of these processes the breakdown tendency is interrupted, accumulation can restart on a new level, and the absolute collapse is transformed into a temporary crisis. This is the simple explanation of what Spiethoff falsely regards as Marx’s confusion of the long-term and general tendencies that drive towards breakdown with conjunctural shifts of a short-term character. The crisis is therefore, from the standpoint of capitalist production, a healing process through which the valorisation of capital is restored; ‘crises are always but momentary and forcible solutions of the existing contradictions. They are violent eruptions which for a while restore the disturbed equilibrium’ (Marx, 1959, p. 249). By its very nature the duration of this process of recovery is indeterminable. Whereas the time-span of accumulation can be calculated down to its maximal point z - so that the length of the upswing is determinate - an exact determination of the length of the crisis is not possible. By one means or another the entrepreneur strives to restore valorisation until sooner or later he succeeds in doing so. The crisis is only a more or less prolonged interval between two phases of accumulation. Once counteracting tendencies come into play, the assumptions under which the analysis was worked out necessarily change. A modification to these assumptions along the lines suggested above would mean that for a period of time the process continues on a new basis, up until a new absolute crisis which can be exactly determined under the new set of assumptions and calculated according to the same formula. The crisis can likewise be surmounted by changing the conditions postulated yet again —for instance if the entrepreneur enforces a renewed cut in wages. Yet quite apart from the fact that a wage cut would disrupt the initial assumption of the expansion of variable capital corresponding to increases in the working population, the further continuation of accumulation would still prove untenable after a certain lapse of time. Despite the cut in wages it would again run up against the limits of valorisation and thus necessitate further wage cuts, and so on and so forth. Marx goes on to argue that ‘in proportion as capital accumulates, the lot of the labourer, be his payment high or low, must grow worse’ (p. 604). People have tried to challenge this absolutely necessary general tendency which is inherent in pure capitalism by reference to the actual level of real wages in this or that period. As if Marx ever denied that it was possible for real wages to increase in specific phases of capitalist accumulation. The fact remains that at a late stage of accumulation this general tendency towards the depression of real wages emerges inexorably from the very process of capital accumulation on the basis of a rising organic composition. It follows that this tendency can be delayed for some time; it can be slowed down by the action of specific counteracting tendencies, but it cannot be abolished. Abstracting from such purely temporary phases, we see that from a certain point of accumulation onwards wages must decline continuously under pure capitalism, despite any initial increases. After this point the tempo of accumulation and technological advance slows down and the reserve army grows. Obviously such a process cannot last indefinitely. A continuous deterioration of wages is only possible theoretically; it is a purely abstract possibility. In reality the constant devaluation of labour power accomplished by continual cuts in wages runs up against insuperable barriers. Every major cut in its conditions of life would inevitably drive the working class to rebellion. In this way, and through the very mechanism that is internal to it, the capitalist system moves incessantly towards its final end, dominated by the ‘law of entropy of capitalist accumulation’. Precisely when the publication of Marx’s Capital was finally complete with the appearance of Volume Three, the rapid flowering of German capitalism doomed any deeper understanding of Marx’s theory. The general feeling was that Marx’s theory flatly contradicted the real tendencies of capitalism. Far from any further deepening of Marxist theory, it was an epoch characterised by a drift away from it. It was this period of vigorous capital accumulation (1890—1913) that gave birth to revisionism and to those notions of an unfettered, equilibrated capitalism which would recur later even in the writings of the official spokesmen of theory, like Hilferding and Bauer. The case of Hilferding shows how deeply the fear of catastrophe characteristic of bourgeois economists penetrated into this tendency of Marxism. In historical retrospect such an attitude to Marx’s Capital is understandable. The great popularity of the book was initially due to the parts which describe the immediate process of production within the factory. Its description of the labour process, which is simultaneously a process of producing value and surplus value, focused sharply on the position of the working class and its exploitation by capital and made the day-to-day class struggle something entirely comprehensible. So Volume One became the ‘bible’ of the working class for decades to come. Those parts of the work which describe the historical tendencies of capital accumulation suffered an entirely different fate. However brilliantly they handled the question of capitalist breakdown, they were doomed to remain unintelligible. Capitalism had still to reach a maturity where the question of breakdown and the problem of realising socialism could possess an immediate reality. Marx was so far ahead of his own time that these portions of his work were bound to remain incomprehensible at first, and in this sense Marx’s own life work only went to confirm even further the truth of the materialist conception of history. Two whole generations had to pass, following the appearance of Capital. before the general advance of accumulation ripened capitalism to its present imperialist stage and generated the conflicts that would find an ephemeral solution in the massive convulsions of war. Only now did the question of achieving socialism gradually descend from the nebulous world of the socialist programme to the reality of day-to-day practice. Today we turn to Capital in search of answers to questions that are no longer purely academic, no longer simply problems of theory, but problems rooted in the needs of daily life. The historical situation has changed and this change tears aside the veils that concealed entire words and meanings from previous generations. The time has come for a reconstruction of Marx’s theory of breakdown. ‘Rate of profit’ and ‘mass of profit’ have entirely different meanings for theory, despite the close connection between them. Several writers like Charasoff, Boudin and others felt that the central point of Marx’s theory was contained here. But they could not demonstrate the necessary breakdown of capitalism because they confined their attention to the fall in the rate of profit. Breakdown cannot be derived from this. How could a percentage, a pure number such as the rate of profit produce the breakdown of a real system? Table 2 showed that the capitalist system can survive despite the fall in the rate of profit and that the final breakdown in year 35 has nothing to do with the falling rate of profit as such. We cannot explain why in year 34, with a rate of profit of 9.7 per cent, the system survives and why in the next year, with a rate of profit of 9.3 per cent, it breaks down. An explanation is only possible when we relate the breakdown not to the rate of profit, but to its mass: ‘accumulation depends not only on the rate of profit but on the amount of profit’ (Marx, 1969, p. 536). If we accept the view of Sombart and Bauer that value in Marx is in no sense a real phenomenon but merely an idea, a ‘mental fact’ or an aid to thought, then the breakdown of capitalism due to a relative decline in the mass of profits (a decline in the rate of profit is simply the external expression of this fact) becomes an inexplicable mystery. Ideas can scarcely destroy a real system. This is why Sombart and Bauer could never come to terms with the Marxian theory of breakdown. But matters are quite different if value and therefore the mass of profit is conceived as a real magnitude. In this case the system has to break down due to a relative fall in the mass of profit, even if the latter can increase, or does increase, absolutely. A falling rate of profit is thus only an index that reveals the relative fall in the mass of profit. The falling rate of profit is, moreover, only important for Marx in so far as it is identical with a relative decline in the mass of surplus value. Only in this sense is it possible to state that with a falling rate of profit the system breaks down. The rate of profit falls because the mass of profit declines relatively: ‘The drop in the rate of profit ... expresses the falling relation of surplus value to advanced total capital’ (Marx, 1959, p. 214). It is this relative decline in the mass of profits (or of surplus value) conceived as a real magnitude that accounts for the ‘conflict between the expansion of production and production of surplus value’ (p. 247). Beyond a certain limit to accumulation there is too little surplus value to secure the normal valorisation of the constantly expanding capital. Writers like O Morgenstern (1928) simply reject the notion that there are any regular or systematic economic fluctuations. They ascribe to crises a purely contingent character in the sense that phases of expansion and decline succeed one another purely accidentally. H Dietzel saw purely random fluctuations of the harvest as the basic determinant of conjunctural oscillations (1909). Bohm-Bawerk thought a theory of the economic cycle could only form the concluding chapter of a logically complete economic theory. In that case, when it asserts that a theory of economic cycles is impossible, bourgeois economics only ends by confessing the bankruptcy of its own economic science. No representative of bourgeois economics could give even a moderately exact causal explanation of the periodicity of crises. At best they could give only a partial explanation of this or that phase of the economic cycle. This failure to account for the periodicity of crises obviously also removes any theoretical basis for establishing the length of the individual phases or the amplitude of the cyclical movements. When it comes down to determining the span of the individual phases commentators have plunged straight into empiricism. The fantastic uproar created recently by the ‘exact’ results attained by the various business cycle schools only goes to hide the state of theoretical bankruptcy and hopeless empiricism that lurks behind the mathematical disguises of these schools. In the United States observations led to the conclusion that there has been a tendency for the phases of the cycle to become shorter. In contrast Tugan-Baranovsky, from his own survey of the British data, came to the conclusion that the cyclical crises have become more prolonged (1901, p. 166). The ‘debate on method’ fought out over the last four decades between the historical and the deductive schools, regarding the way a theory is constructed, has simply passed over bourgeois economists without any deeper traces. Today, in the field of business cycle studies, the hopeless empiricism of the historical school of Schmoller is again dominant. What was the old historical school if not an attempt to establish a preparatory basis for the construction of theories in the form of the richest possible historical evidence? The whole orientation of the modern business schools in the United States and Europe is characterised by the compilation of data of this kind, with only this difference, that the data is perhaps more contemporary. The basic concern of all their work is the selection of appropriate indicators. If in America these relate chiefly to circulation, prices, markets, in Germany production is also considered. Yet the basic point is that in either case causal explanation is displaced by description. Bourgeois economics is today tired of theory. A Lowe is therefore quite right in saying that: ‘Basically over the last decade business cycle theory has not advanced a single step forward’ (1926, p. 166). Yet even among Marxists there is no less confusion in this field. Marx referred to the factors that prolonged or abbreviate the length of the cycle, and for his period assumed that ‘in the essential branches of modern industry this life-cycle now averages ten years. However, we are not concerned here with the exact figure’ (1956, pp. 188—9). The amplitude of the cyclical movements, or of the varying phases of the industrial cycle could be greater or smaller. Yet this would not abolish the periodicity of the movement. Kautsky feels that despite his basic disagreement with Tugan-Baranovsky’s theory of crisis, he agrees with him on several points. One of these is ‘Tugan-Baranovsky’s remarks on the causes that determine the periodicity of crises’(1901, p. 133). That this is logically untenable should be obvious. How can one disagree with a theory of crisis and yet accept the causes of periodicity proposed by this theory? And what is Tugan-Baranovsky’s epoch-making discovery which impressed Kautsky so much? In other words given a labour theory of value we end up either with an underconsumption theory or with a disproportionality theory, and neither of these can account for periodicity. I have shown that given the labour theory of value Marx’s theory of accumulation does lead to a theory of breakdown and crises, but for quite different reasons to those listed by Lederer. The theory of overaccumulation explains why the reproduction process necessarily takes a cyclical form and it is the only theory that allows us to establish the length of the individual phases of the cycle. Obviously this also holds for the duration of its specific phases. Therefore in the following I want to derive the amplitude of cyclical movements in a purely deductive manner, as a necessary consequence of the basic elements of the mechanism of reproduction. The formula proposed earlier gives an exact specification of the factors that determine the duration of the phase of expansion; the length of the phase can be calculated under the conditions specified in the scheme, even if in actual reality the pure movement of this scheme is intersected by circumstances of the most varied kind. I shall use Bauer’s reproduction scheme to show how the length of the phase of expansion is abbreviated or prolonged depending on the variations of these factors. With a higher organic composition the system has to break down earlier, in year 5. Either the surplus value due for capitalisation will show a deficit or the rate of surplus value, and thus the degree of exploitation, has to be increased — wages have to be cut. Thus the level of the organic composition of capital has enormous significance for the breakdown tendency and explains why Marx should have said, at the very start of the chapter on the general law of capitalist accumulation, that the ‘most important factor in this inquiry is the composition of capital and the changes it undergoes in the course of the process of accumulation’ (1954, p. 574). Secondly an increase in this rate of accumulation of constant capital will likewise accelerate the breakdown. Table 2.4 assumes the rate of accumulation of constant capital (ac) to be 20 per cent instead of 10 per cent. If the rate of accumulation were doubled to 20 per cent the breakdown would follow in year 8. Already by this year the additional constant capital required would be larger than the total surplus value available. Nothing would be left for additions to variable capital (a’) or for capitalist consumption. However no one before Marx explained what exactly the connection was. The reproduction scheme has so far assumed, for the sake of simplification, that the life cycle of fixed capital equals one period of reproduction; that fixed capital is completely used up in each cycle of production and therefore has to be renewed from the year’s product. This assumption has a merely fictitious character and it has to be modified. It is more realistic to suppose that the fixed component of constant capital operates over several cycles of production and does not need to be renewed annually. Its participation in the production of value and surplus value is extended over several years. In this case even if the value of the fixed capital is transferred to the product in a smaller annual rate of depreciation, it nevertheless helps in creating a growing mass of value, and therefore of surplus value, in proportion to its actual durability. The valorisation of the given capital is thereby improved, so that the breakdown tendency is weakened — the duration of the phase of expansion is prolonged. Because technological improvements progressively consolidate the physical durability of fixed capital, we have here a factor that tends to prolong the business cycle. An increase in the rate of accumulation of variable capital accelerates the breakdown enormously. If wages were to rise by 20 per cent there would be a shortage of surplus value by year 12. This case where the rate of accumulation of variable capital rises simply because wages are increasing, while the rate of growth of population remains constant at 5 per cent, must be distinguished from the case where the rate rises because the population itself is expanding at over 5 per cent. If all other conditions are the same such an expansion of the valorisation base would necessarily weaken the breakdown tendency. If the working population grows by 8 per cent a year, and consequently the mass of surplus value grows at 8 per cent, then under the conditions assumed in Table 2.4 the breakdown would be postponed by one year, as shown in Table 2.6. Fourthly, a higher rate of surplus value will slow down the breakdown tendency. Table 2.7 shows the result with a lower rate — it will be speeded up based on a rate of accumulation of constant capital of 20 per cent, variable capital of 5 per cent, and the rate of surplus value only 50 per cent. In this example the extremely rapid onset of breakdown is due to the coupling of a higher rate of accumulation with a lower rate of surplus value. Conversely the breakdown would be postponed if the rate of surplus value were, for example, 150 per cent. In short, the duration of the upswing or the point at which the breakdown, and thus the downturn into crisis, intervenes is a function of four variable but compatible elements: the level of the organic composition of capital; the rate of surplus value; the rate of accumulation of constant capital, and the rate of accumulation of variable capital. Once we have grasped the causes of the boom it becomes possible to explain a series of empirical phenomena which the existing theories of crisis explain only inadequately. It is said that inflation creates an ‘artificial’ boom. But what is artificial about a boom of this kind? How is a so-called artificial boom different from a real one? For instance if the underconsumption of the masses is the basic cause of crises then inflation should occasion a massive crisis because wages will lag behind commodity prices; real wages will fall and the underconsumption of the working class will increase sharply. But if inflation means an upswing in the economic cycle this only shows that the underconsumption of the masses cannot be a sufficient explanation of crises. According to this inflationist theory the appearance of a boom is something quite self-evident - as real wages fall the rate of profit rises and valorisation is improved. The necessity of the cyclical process has already been shown despite the abstraction from any consideration of variations in commodity prices, wages and the rate of interest. In fact their movements are only a consequence of the underlying cyclical movements. Therefore to presuppose them is to fall into the error of logical circularity. We started by assuming complete equilibrium where, despite a continuously rising technological level, the accumulation of capital can keep the entire working population employed. In this state, defined by proportional increases in capital and labour power, accumulation can proceed without any changes in the structure of prices. I have shown that even assuming these favourable conditions, there must come a point at which accumulation necessarily breaks down. However, a proportional accumulation of this kind is quite unrealistic. The capitalist mechanism contains no regulator that could consciously adapt the scale of accumulation to the requisite state of equilibrium. The actual scale of accumulation will tend to deviate from the equilibrium positions specified in the reproduction scheme. The magnitude of accumulation depends on how much of the surplus value is accumulated as constant and variable capital and how much goes into the personal consumption of the capitalist. 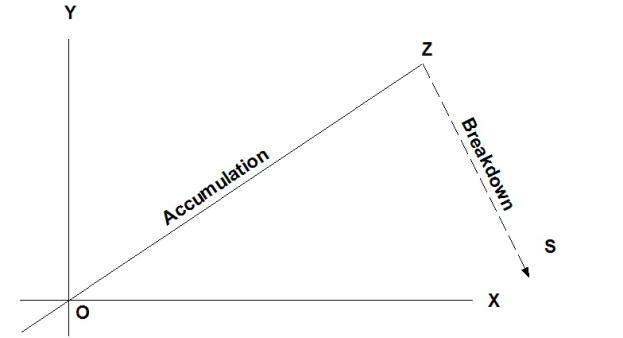 In principle two cases are possible: accumulation may either surpass the equilibrium level or fall short of it. In practice however, only the second case is possible in which only a part of the surplus value is earmarked for purposes of accumulation — for instance, constant capital grows by just 5 per cent a year instead of the 10 per cent assumed by the scheme. In that case not all of the new workers will be absorbed into the productive process and a reserve army will be formed year by year. Part of the remaining, uncapitalised surplus value will enter capitalist consumption. The remainder will be kept in reserve for investment purposes in the form of loan capital. So far we have taken the total social capital that is productively absorbed into the process of reproduction as a single unit and assumed that the industrial capitalist deploys his own capital. This assumption is purely fictitious and only justifiable methodologically for purposes of simplification. It excludes the monied capitalist or rentier from the scope of the analysis: ‘If all capital were in the hands of the industrial capitalists there would be no such thing as interest and the rate of interest’ (Marx, 1959, p. 377). But interest exists and our fictitious assumption therefore has to be dropped. In reality only a minor proportion of capitalists operate exclusively with their own capital. The ‘majority of industrial capitalists, even if in different numerical proportions, work with their own and borrowed capital’ (p. 376). Therefore credit in the sense of the portion of surplus value that is saved has to be reintroduced into the analysis. The abstract reproduction scheme is thus enriched by a further empirical moment and the analysis comes a step closer to actual reality. It follows that the magnitude of the profit that actually falls to the industrial capital ‘is determined by the interest, since this is fixed by the general rate of interest ... and assumed to be given beforehand, before the process of production begins’ (p. 373). Even if there is no law which determines this general rate of interest there is still an ‘average level’ of the rate of interest corresponding to an equilibrium state of production in a given country at a given period of time. When the productive apparatus is in this state of equilibrium, the entire social surplus value will be used for accumulation, in so far as it is not personally consumed. Yet one group of capitalists - monied capitalists and rentiers - do not function directly in the productive process; they transfer their capital to capitalists who do. The interest that this group receives from its capital can be regarded as a ‘normal interest’ determined by the number of these capitalists, the size of their capital and so on. However, we are not dealing with a case of equilibrium but one in which part of the surplus value due for accumulation cannot find productive employment. This loanable portion of capital, which is neither consumed nor directly capitalised, but appears in the money market in search of investment, stimulates business activity by depressing the rate of interest below its ‘normal level’ in the sense just defined. Accumulation is thus speeded up. Marx states that ‘the expansion of the actual process of accumulation is promoted by the fact that the low interest... increases that portion of the profit which is transformed into profit of enterprise’ (1959, p. 495). An analogous process occurs on the labour market. Originally the entire working population was absorbed into the process of production whereas now, in the case where the constant capital expands at a lower than equilibrium rate, a reserve army begins to form. This in turn depresses the level of wages and again stimulates business activity. The rate of surplus value exceeds 100 per cent because of both factors and the growing profitability on capital produced by a cheapening of the elements of production accelerates the tempo of accumulation. The rate of accumulation would again approximate to its equilibrium rate. Table 2.8 shows that even if we were to assume that constant capital expands at the low rate of 5 per cent a year, the available loan capital would tend to run dry in the course of accumulation. If on the other hand, increased profitability forces up the rate of accumulation of constant capital to over 5 per cent the mass of loan capital would dry up sooner. Suppose that starting from a rate of expansion of 5 per cent the constant capital grows by an additional 2 per cent every year (5 per cent in the second year, seven in the third, nine in the fourth...) while all other conditions are equal. Underaccumulation expands the volume of loan capital and thereby depresses the rate of interest and enhances the rate of profit. An abnormal upswing follows. 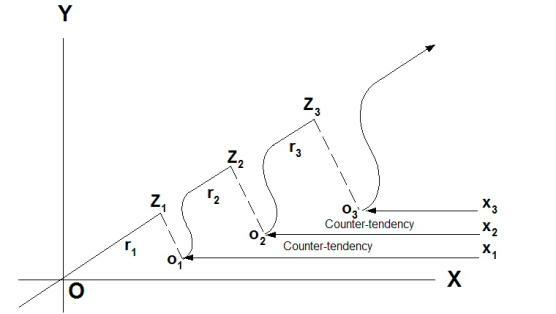 Figure 3 shows that the upswing is not a simple straight line but takes the shape of a curve that rises steeply upwards from a low start. The gradual pace of accumulation at the start of this upswing increases progressively under the stimulus of a low rate of interest. When the reserves of loan capital have run dry, accumulation comes to a standstill, or the crisis starts. A similar movement is discernible on the labour market. Underaccumulation — which is what we are assuming — means that unused labour powers are available. The depression of wages below the value of labour power enhances the rate of profit. This incites capital to extend the scale of production and because the first half of the expansion phase is characterised by a growing reserve army, this impulse is even more powerful. But the number of unemployed starts to decline and wages begin to rise. It follows that through the introduction of credit into the analysis the process of accumulation acquires a more realistic character. But no new moments are introduced in terms of our basic explanation of the industrial cycle and of the causes of crisis. If we view the expansion phase as a whole we return to the methodological starting point of the analysis, in the sense that the converse deviations of the rate of interest or of wages cancel out one another to yield an average or normal level. As against Bauer I have shown that the very mechanism of accumulation leads to an overaccumulation of capital and thus to crisis. Even a cut in wages can only proceed within definite insuperable limits. Thus accumulation necessarily comes to a standstill or the system collapses. At the moment of crisis capital — in the form of the portions of surplus value previously destined for accumulation — are excluded from the process of production. Absolute overproduction begins as unsold stocks accumulate. Money capital in search of investment can no longer be applied profitably in production and turns to the stock exchange. The activity of the stock exchange is insuperably bound up with the movement of interest on the money-market ‘the price of these securities rises and falls inversely as the rate of interest’ (Marx, 1959, p. 467). As the rate of interest jerks upward at the start of every crisis the price of these securities registers a precipitous fall: ‘when the money market is tight these securities will fall in price for two reasons: first, because the rate of interest rises, and secondly, because they are thrown on the market in large quantities in order to convert them into cash’ (p. 467). This completes the causal chain. Starting from the sphere of production I have shown that the very laws of capitalist accumulation impart to accumulation a cyclical form and this cyclical movement impinges on the sphere of circulation (money market and stock exchange). The former is the independent variable, the latter the dependent variable. Once counteracting tendencies begin to operate and valorisation of productive capital is again restored a further period of accumulation sets in. The rate of profit climbs upwards. As soon as it exceeds the income of fixed interest securities money is again channelled from the stock exchange back into the sphere of production. The rate of interest starts rising and with the gradual fall in the price of securities they are transferred to the ‘public’ which only looks for a long term investment. But this ‘long-term’ lasts only down to the next crisis or the next wave of speculative buying. Throughout all this there is a growing centralisation of money wealth which in turn accounts for the increasing power of finance capital. This criticism has generated a whole school. A series of Marxist writers have repeated Luxemburg’s objections assuring us that Lenin was the first to formulate the law of the uneven development of capitalism. Evgeny Varga tells us that in ‘Capital Marx did not give a purely economic foundation to the law of the uneven development of capitalism. He took the totality of phenomena as his starting point’ (1926, ‘Der uberimperialismus’, p. 246). Apparently ‘Lenin was the first to propose the law of uneven development’ (p. 248). Likewise Nikolai Bukharin refers to the ‘Leninist law of the unevenness of capitalist development’ (1926, p. 9). As always Sternberg blindly follows whatever Luxemburg has to say: ‘in a rigid schema of exchange under pure capitalism the sporadic development of individual industries would be inconceivable’(1926, p. 153). Luxemburg’s criticisms could only have arisen through a failure to grasp the basic aspects of Marx’s methodological procedure. Marx’s reproduction scheme represents the average line of accumulation, that is the ideal normal trajectory in which accumulation occurs proportionally in both departments. In reality there are deviations from this average line —Marx himself repeatedly draws attention to the elastic power of capital —but these deviations are only explicable in terms of the average line. Luxemburg’s mistake is that a model that represents only the ideal trajectory in a range of possibilities is taken for an exact description of the actual trajectory of capital. The same is true of Bauer. He imagines that the magnitudes of his production scheme are the only possible form in which the process of production can advance without breaks. For each year of production in Bauer’s scheme it would be possible to generate a series of variants, each of which would represent a distinct configuration of the departmental distribution of capital without altering the scale of total social production. For the given social scale of production various equilibrium positions are conceivable. For instance accumulation may be totally confined to Department I, in which case for several years it would show a powerful development by leaps and bounds, while Department!! simply stagnates. Marx enables accumulation to continue by broadening the basis of production in Department I. Accumulation in Department II appears only as a condition and consequence of accumulation in Department I … Department I retains the initiative all the time, Department II being merely a passive follower. Thus the capitalists of Department II are only allowed to accumulate just as much as ... is needed for the accumulation of Department I. (p. 122). This only shows how completely Luxemburg has misunderstood the significance of Marx’s methodological procedure. For who could ensure that accumulation takes place proportionally in the two departments? No such regulator exists under capitalism or can exist. It follows that proportional accumulation is a purely ideal case; a fiction that could actually prevail only accidentally. As a rule the actual process of accumulation is quite unequal in the various branches. If the capitalist system inevitably breaks down due to the relative decline in the mass of profit we can understand why Marx ascribed such enormous importance to the tendential fall in the rate of profit, which is simply the expression of this breakdown. It is also clear what it means to say: ‘The real barrier of capitalist production is capital itself. It is that capital and its self expansion appear as the starting and closing point, the motive and purpose of production’ (Marx, 1959, p. 250). ‘He cannot therefore admit that the bourgeois mode of production contains within itself a barrier to the free development of productive forces, a barrier which comes to the surface in crises’ (1969, pp. 527—8). From a purely technological aspect, as a labour process for the production of use values, nothing could impede the expansion of the forces of production. This expansion encounters a barrier in the shape of the valorisation process, the fact that the elements of production figure as capital which must be valorised. If profit disappears the labour process is interrupted. The greatest possible valorisation forms the specific aim of the capitalist process of production. The barrier to the development of the forces of production of capitalism is of a twofold nature. In the first place the level of technological perfection attainable under capitalism is far lower than it could otherwise be from a social standpoint. Marx was the first to show that under capitalism there is far less scope for the application of improved means of production. From the standpoint of capital what matters is economies in the use of paid labour, and not labour as such. For example, if the production of a commodity costs society 10 hours of labour time, it would make use of any machine that could economise on the labour time — even if 9.5 hours were still needed to produce that commodity. But if a capitalist pays the worker the equivalent of say, 5 hours of labour, he will only find the use of machinery to his advantage if it costs him less than 5 hours. Quite apart from Asia and Africa, there are large parts of eastern and south-eastern Europe today where living labour is so cheap that it does not pay the capitalist to use machinery. Thus although human labour could be replaced by machinery it is in fact massively wasted. Even in the more advanced capitalist countries like Germany and the United States advanced technology is confined to a relatively small group of capitalists, next to whom there is a large mass of technically backward enterprises which squander human labour by using outdated machinery and manual labour. Even the best technology that is used is not identical with the best that is available. Of course a fantastic number of inventions and patents are bought up by the cartels and trusts, but they do not use them until forced to do so under the pressure of competition. Secondly competition entails an enormous squandering of the productive forces through the struggle for sales outlets, the overproduction of commodities on one side and unemployment on the other. According to R Liefmann ‘this competitive struggle ... is terribly uneconomical, and often represents a huge waste of capital’ (1918, p. 50). But are things any better in the epoch of monopoly capitalism? Liefmann argues that as far as cartels are concerned we cannot speak of a conscious regulation of production based on foresight. In fact it turns out that while ‘cartel formation gives a powerful impetus to expanding the scale of production of the enterprise ... the cartels often find the greatest difficulties in disposing of the enormously expanded production.’ Liefmann maintained that ‘As a rule they [the cartels] have no means of preventing an excessive expansion of enterprises’ (pp. 69—70). Liefmann refers to the ‘huge overcapitalisation’ that characterises the cartels. After 1815 English capitalism revolutionised her industry through technological changes in iron production starting with the puddling process. But as the accumulation of capital advanced the rate of technological progress slowed down in Britain. In 1856 the Englishman Bessemer reported the discovery of a new process that was destined to revolutionise the metal working industries and to replace the dominance of iron by steel. But for 20 years Britain ignored the discovery of the Bessemer process and stuck to the puddling process until the competition of Germany, France and Belgium forced her to take it over and refine it. This was repeated again when in 1879 Thomas discovered the basic process named after him. Britain received the finding with pure indifference and let foreigners buy it until, in three years, it revolutionised all the plants on the Continent. The British monopoly was a thing of the past as the leadership in iron and steel production gradually passed into other hands. At the end of the nineteenth century we find the same picture in the field of electrical technology. British capitalism simply ignored it at a time when there was practically no city in Germany which did not have its ‘electricity society’. By 1906 G Schulze-Gaevernitz could refer to the ‘technological conservatism’ of Britain and list a whole series of industries like iron and steel, machine building, shipbuilding, chemicals and others in which America and Germany had either displaced or were threatening British dominance. However Schulze-Gaevernitz does not accept economic causes as the explanation of British conservatism and prefers to trace this to ‘processes of spiritual decay’ (1906, p.212). But if so why did the progressive, in fact revolutionary, character of British economic development change so completely in a few decades? I have shown that under capitalism, at a definite level of the accumulation of capital, technological development has to slow down because the valorisation of capital can no longer sustain it. This way of posing the problem shows that it is misleading to speak about the stagnation of productive forces under capitalism in general. This is precisely why Kautsky can deny the possibility of an economic breakdown of capitalism, because in his understanding capitalism has proved its capacity to develop the forces of production. But the problem is not one of some abstract capitalism outside space and time but of the actual development of particular historical capitalist countries, each of which lies at a specific stage of capital accumulation. It is a fact that the oldest capitalist country of Europe, which for more than a century played the leading role in industry and which had the greatest accumulation of capital prior to the War, ‘has lost its dominance to other nations in several of the most important industries’ (Schulze-Gaevernitz, 1906, p. 334). The technological stagnation of Britain and her loss of industrial leadership were rooted in the faltering of her rate of accumulation due to the already huge accumulation of capital. Once the accumulation of capital increases in countries like Germany and America, there too the process of valorisation will necessarily run into limits that will slow down their technological advance. The law of accumulation expounded above explains the phenomenon already noted by Adam Smith that in the younger countries at an early stage of capitalist development the tempo of accumulation is more rapid than in the wealthier, advanced capitalist countries. Lenin was right in saying that highly developed capitalism is characterised by an inherent ‘tendency to stagnation and decay’. But Lenin linked this tendency to the growth of monopolies. That there is such a connection is indisputable, but a mere statement is not enough. After all one is not dealing simply with phenomena of stagnation. The very same British capitalism that has reached a state of decay economically, shows an extremely aggressive character in other aspects. It is this aggressive character or unusual energy that gives to it the peculiar stamp of so-called ‘imperialism’. Imperialism is characterised both by stagnation and by aggressiveness. These tendencies have to be explained in their unity; if monopolisation causes stagnation, then how can we explain the aggressive character of imperialism? In fact both phenomena are ultimately rooted in the tendency towards breakdown, in imperfect valorisation due to overaccumulation. The growth of monopoly is a means of enhancing profitability by raising prices and, in this sense, it is only a surface appearance whose inner structure is insufficient valorisation linked to capital accumulation. The aggressive character of imperialism likewise necessarily flows from a crisis of valorisation. Imperialism is a striving to restore the valorisation of capital at any cost, to weaken or eliminate the breakdown tendency. This explains its aggressive policies at home (an intensified attack on the working class) and abroad (a drive to transform foreign nations into tributaries). This is the hidden basis of the bourgeois rentier state, of the parasitic character of capitalism at an advanced stage of accumulation. Because the valorisation of capital fails in countries at a given, higher stage of accumulation, the tribute that flows in from abroad assumes ever increasing importance. Parasitism becomes a method of prolonging the life of capitalism. The ideas developed here were already proposed in Capital Volume One in a more general form. But in these passages from Volume Three Marx shows concretely — through an analysis of the capitalist process of accumulation — that capitalism, though historically necessary for the expansion of productivity, becomes in the course of time a fetter on this expansion. Let us suppose with Luxemburg that capitalism is not the exclusively prevalent mode of production but has to rely on a non-capitalist sector. In that case, on the periphery of Bauer’s scheme there are non-capitalist markets that buy up the surplus value produced capitalistically within the scheme, but otherwise unsaleable. Let us suppose that only after this transaction is the surplus value convertible into a usable natural form and earmarked for accumulation in the capitalist country. In short we assume that Bauer’s scheme now represents an accumulation whose elements have returned from the non-capitalist countries after being realised there. But what follows? Even if the surplus value were realised in the non-capitalist countries the breakdown of capitalism would still be inevitable due to the causes mentioned. This only shows that Luxemburg’s entire hypothesis is totally irrelevant to the problem concerned and therefore quite superfluous. Whether surplus value is realised internally or in a non-capitalist sector has no bearing either on the life span of capitalism or on the timing and inevitability of its final collapse. In both cases the breakdown would be inevitable and its timing would be the same. This flows from the fact of capitalist accumulation on the basis of a progressively rising organic composition of capital; from the fact that c grows faster than v. The question of where the surplus value is realised is quite irrelevant. All that matters is the magnitude of the surplus value. Luxemburg was of the opinion that Marx ‘does not go any further into the question of accumulation than to devise a few models and suggest an analysis. This is where my critique begins’ (1972, p. 48). Assuming the accumulation of capital to be without limits, one has obviously proved the unlimited capacity of capitalism to survive! ... If the capitalist mode of production can ensure boundless expansion of the productive forces, of economic progress, it is invincible indeed. With her ad hoc model of the need for non-capitalist markets Luxemburg thought she was killing two birds with one stone — refuting the equilibrium dreams of the neo-harmonist writers by showing that there is an inexorable economic limit to capitalism and simultaneously explaining imperialism. Capitalism is dominated by a blind, unlimited thirst for surplus value. According to the interpretation that Luxemburg gives it would appear as if the system suffers from an excess of surplus value, that it contains an unsaleable residue of surplus value and in this sense possesses too much surplus value. Such a theory is quite illogical and self contradictory in terms of trying to understand the most important and peculiar function of capital, the function of valorisation. The whole matter is quite different in the interpretation I have given. The capitalist mechanism falls sick not because it contains too much surplus value but because it contains too little. The valorisation of capital is its basic function and the system dies because this function cannot be fulfilled. In explaining how this happens the logical unity and consistency of Marx’s system finds its most powerful expression. Unless we are going to overthrow the logical unity of the system we have to be able to demonstrate the necessary breakdown of capitalism in terms of the theory itself -that is, on the basis of the law of value without recourse to unnecessary and complicating auxiliary hypotheses. The Marxian theory of crises can account for recessions and their necessary periodic recurrence without having to invoke special causes. This illustrates the essential character of the logical structure of Marx’s theory of breakdown and its difference from all other theories of the business cycle. The latter are theories of equilibrium. They bear a static character. They cannot deduce the general crisis — seen as a discrepancy between demand and supply — from the system itself because in equilibrium theory prices represent an automatic mechanism for adjusting one to the other. Disruptions of equilibrium can only be explained in terms of exogenous factors. There is no such defect in Marx’s theory of crises. True, Marx’s proof procedure starts from the assumption of equilibrium. But equilibrium forms only a tentative methodological fiction with which Marx shows that in the long run equilibrium is impossible under capitalism; by its very nature capitalism is not static but dynamic. All the requirements placed on any theory with respect to its logical unity are satisfied, if purely deductively, proceeding from the inner course of capitalist accumulation itself. Keeping with the logic of the total system we can show the possibility and necessity of economic movements that lead to the periodic disruption of the system’s equilibrium and to its final destruction. This enables us to clarify the basic differences between the outlook of classical economy and that of Marx. Adam Smith had already discerned a threat to capitalism in the falling rate of profit because profit is the motor force of production. But Smith accounts for declining profitability in terms of growing competition of capitals. Ricardo grounds the law of the falling rate of profit in terms of natural factors related to the declining productivity of the soil By contrast Marx deduces the breakdown of the capitalist system quite independently of competition. His starting point is a state of equilibrium. Because valorisation falters at a specific level of accumulation, the struggle for markets and for spheres of investment must begin. Competition is a consequence of imperfect valorisation, not its cause. 1. Oppenheimer, who is otherwise a sharp thinker, fails to notice the methodological significance of Marx’s reproduction schemes. He argues that Marx’s division of the annual product into c + v + s ‘was simply a device for the deduction of surplus value. The deduction failed’ (1928, p. 311). But Marx did not need any device for the deduction of surplus value because the latter is a fact and facts do not need any proofs. The methodological construction was not designed to prove the fact of surplus value but to establish exactly the variations in the magnitude of surplus value in the course of accumulation. 2. The basic mistake is Bauer’s assumption that the rate of surplus value is constant despite the assumed rising organic composition of capital. Bauer’s other mistakes relate not so much to the construction of his scheme as to his underlying lack of methodological clarity. He confuses the purely fictitious trajectory of accumulation represented by the scheme with the actual trajectory of accumulation. 3. The same holds for Tugan-Baranovsky who followed through the development of his system for only three years and claimed that it ‘is quite unnecessary to continue with the analysis into the fourth and fifth and following years’ (1901, p. 24). 4. To think as Boudin that a fall in the rate of profit ‘naturally interrupts the advance of the accumulation process and acts like an automatic brake’(1909, p. 169) is to understand nothing of Marx’s system. I have shown that it is not only not natural that accumulation should slow down with a fall in the rate of profit but that, on the contrary, it can proceed at an accelerated pace. 5. According to Marx there is too much capital and too many workers with respect to valorisation. Rosa Luxemburg shatters the clear sense of this passage by forcibly interjecting her theory of insufficient market outlets, of which there is no trace in Marx. After quoting the passage concerned she asks ‘In relation to what is there too much of both? In relation to the market under normal conditions. As the market for capitalist commodities periodically grows too small, capital must remain unemployed and consequently part of the labour force as well’ (1972, p. 126). Yet Marx says not a single word about the lack of markets. On the contrary, he says that the very causes that expanded markets and accelerated accumulation have also lowered the rate of profit. Hence he says the precise opposite of what Luxemburg supposes: not a decline in profitability due to lack of markets and the impossibility of accumulating but a decline in profitability due to accelerated accumulation and expansion of markets. Moreover Luxemburg states that the market for capitalist commodities periodically grows too small. But she herself makes not the slightest effort to show why there is this periodic shortage of outlets and from her standpoint the periodicity of crises simply cannot be explained. 6. This exposition suggests that capital accumulation forms the decisive element in Marx’s theory of crises. Nevertheless, the influence of other factors is of great significance for the actual course of crises, especially the role of fixed capital as the factor which governs the periodicity of the crisis. I cannot go into this in more detail because this factor comes under simple reproduction and is therefore outside the framework of my analysis. Here I merely say that in contrast to the prevalent conception, even in Marxist writings, that there is no problem of a business cycle under simple reproduction, Marx demonstrates that even in simple reproduction crises must periodically burst forth due to the impact of fixed capital. 7. Oppenheimer drags in a third kind of setting free, arguing that more labour is displaced in the countryside than in industry and concludes that ‘the process of setting free can have nothing to do with changes in the organic composition of capital’ (1913, p. 105). Oppenheimer overlooks something quite elementary: the basis of Marx’s analysis is capitalism in its pure form. Marx is concerned with the condition of workers who already function as wage labourers. In the countryside the setting free is a setting free of small producers; it is their proletarianisation and conversion into wage labour. 8. No earlier epoch has come even vaguely close to ours in the abundance of data at its disposal. Yet what theoretical results can these writings lay claim to? The limited significance of this entire direction of research for theory is admitted by the chief statistician of the Federal Reserve Bank of New York. Carl Snyder: ‘If we were to ask what is the sum total of theorems to flow from these detailed and penetrating studies the answer would have to be that their yield in terms of forecasts or controls, both hallmarks of any real scientific knowledge, is truly low’ (1928, p. 27). To expect the construction of theory to be directly promoted by expanding empirical insights is a complete misunderstanding of the logical relationship of theory and empirical research. 9. Lederer’s critique of disproportionality theory is the best thing that has been written on the subject. However it does not affect the Marxist theory of crisis because the latter traces crises to the periodically recurring shortage of surplus value. Any theory of disproportionality implies a theory of partial overproduction. Yet Marx deduces the inner crisis of capitalism from a generalised overproduction arising from a complete proportionality. 10. In the following description of the cycle I can only go into the essential causal relationships. Therefore I shall have to refrain from a more detailed treatment of credit and of its impact on the reproductive process, reserving this for my major study. The Marxist position has to show why crises are inevitable quite irrespective of credit and of the circulation process and how they are rooted in causes within production.